One of the cool things about working at a company that makes games and toys is that we sometimes order up a prototype of a nifty thing, just because we can. 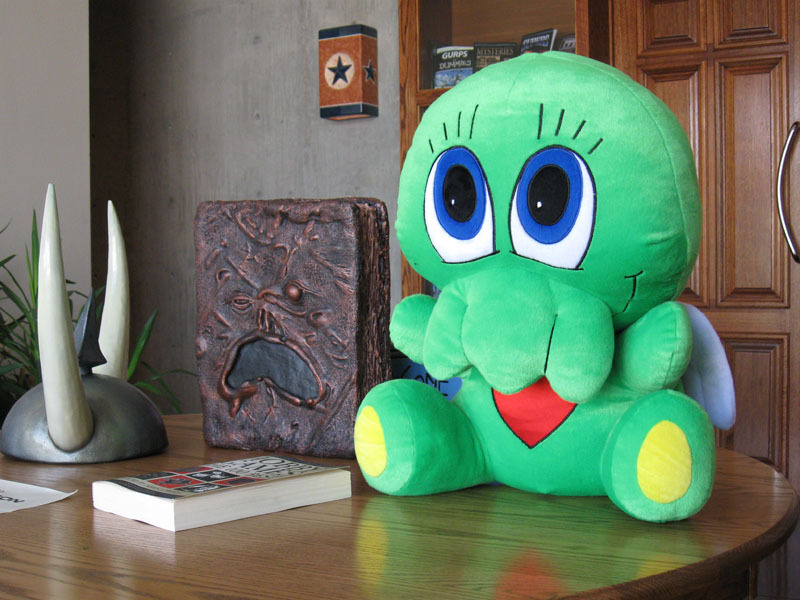 For instance, our Chibithulhus have been so popular that Phil decided to order a bigger one. 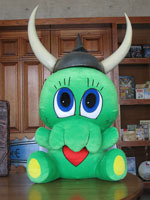 Right now, it's sitting in our office lobby, greeting our guests, while wearing the Horny Helmet. It is big and green and cuddly and wants to eat your soul. The perfect friend for any youngster!